As co-creator of the 21things Project, this free online space connects educators to resources that support teaching and learning. 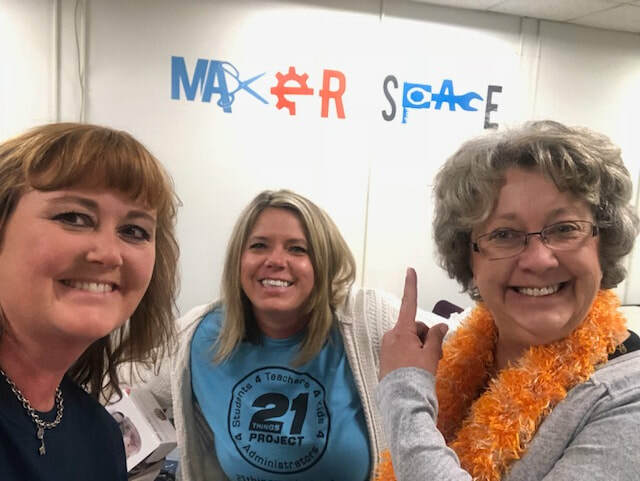 The 21things Project is home to 21things4teachers, 21things4students, MITechKids, and 21things4administrators. The project was spearheaded in 2008 by four REMC-RITS instructional technology specialists in Michigan – Frank Miracola, Carolyn McCarthy, Dr. Jennifer Parker (me), and Melissa White. We were joined in 2011 by Jan Harding. Now supported by the resources of the REMC Association of Michigan and the founding organizations (Macomb ISD, Shiawassee RESD, Ingham ISD), the project is now internationally known and has earned two ISTE Seal of Alignments. In Michigan, I have been a part of the Michigan Department of Education's MITecs Standards committee, working to align Michigan EdTech to the ISTE Standards. In service to 21 school districts and our Center Programs, I provide technical support and professional development in the integration of educational technology. Customized training, one-on-one coaching, staff and building wide PD, or blended learning opportunities in a personalized approach. As a co-facilitator of the Macomb 2020 Blended Learning Academy, our core team provides support for elementary, middle, and high school educators working to blend their classrooms. Leading by example, our facilitation of M2020 includes an online course, several face-to-face sessions, and instructional coaching, ending the two year program with Capstone Night for sharing success stories. I have written several modules for the online course, including Assessment & Evaluation, Research & Reference, and Creating Interactive, Personalized & Engaging Learning. In 2018 I was a presenter at Schoology NEXT. As the State Project Lead for the MISchoolData portal, I am in charge of a network of over 400 educators who provide professional development on the state data portal. I have created over 30 online courses, including facilitator guides, slide decks, learning activities, webinars/videos, and online modules. My responsibilities include travel and presentations to PK-20 stakeholders/organizations, working with an advisory committee, maintaining a budget, and providing technical updates and reports per grant requirements. ​As part of the First Class of ISTE Certification, I traveled to Arlington, VA to dive deeper into the ISTE Educator Standards. In 2018 I was honored to receive the ISTE Award for Oustanding Leadership. 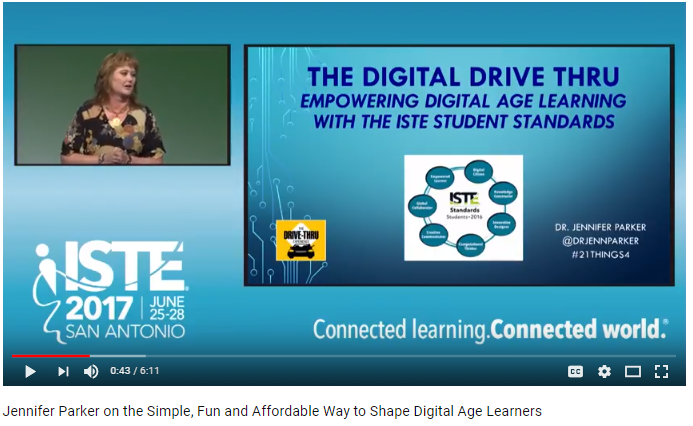 I've also had some great experiences, including serving on various ISTE Panels and projects (Seal of Alignment, Administrator Standards Refresh, Credentialing and Certification). . This past summer, I started my journey in the very first Cohort of ISTE Certification in Arlington VA! I have presented many revenue producing pre-conference and conference workshops. Examples include "Tech Ready & Beyond: Engaged Learning & Interactive Assessment" at ISTE 2017, as well as "Empowering Learners through Digital Age, Project Based Learning" at the Midwest American Conference on Personalized Learning. As part of the evolution of the 21things4teachers, I've written several of the new modules, including Assessment for Teaching and Learning (including the T3PD Model) and Digital Age Teaching & Learning. I've enjoyed working on the Open Education Resources (OER) project as a subcommittee in our state REMC Association-- Excited for our new #GoOpenMichigan repository where 21things4students will be tagged. We recently revitalized workspace to create a Maker Space for county educators - with kits for checkout and workspace for field trips.